As educators and researchers it is impossible to imagine delivering all that we do without the commitment of our highly skilled specialist technicians. They have been described as unsung heroes and the glue that holds our institutions together. Technicians really do make it happen. The Technician Commitment is an initiative led by the Science Council to help address key challenges facing technical staff working in research. Its four key aims are visibility, recognition, career development and the need to ensure sustainability by safeguarding technical skills across organisations by utilising and developing expertise. The demand for technicians is increasing, with more than 1.5 million technicians currently working in the UK and an expectation that this is set to rise by around 70,000 each year. 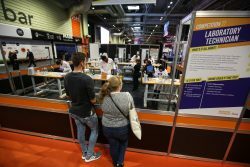 Some of you may have visited or taken part in The Skills Show, the nation’s largest skills, apprenticeships and careers event. Run by WorldSkills UK, the Show is held annually at the NEC in Birmingham and the vibrancy of this three day event and the breadth of skills showcased is astonishing. The show brings together over 70,000 young people with business, government and education. It hosts and promotes a diverse range of sectors, from engineering and construction, business and IT, to hospitality and creative arts. At the heart of The Skills Show are the WorldSkills UK National Finals. These competitions run in over 50 skill areas, assess an individual’s knowledge, practical skills and employability attributes against a set of strict criteria, based on apprenticeship standards. Age and skill eligible competitors are then chosen to go forward to compete internationally. This programme of activity and the UK’s participation in international competitions is supported by the UK Government, Governments in Northern Ireland, Scotland and Wales and partners in industry and further and higher education. Middlesex University has had a long partnership with WorldSkills UK and proven experience of running competitions. 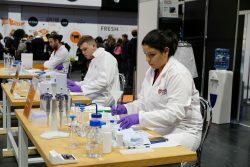 The new “Laboratory Technician” competition was launched at this year’s Skills Show as a demonstration, with the aim of promoting the importance of technical skills and the laboratory technician role in the life sciences and industrial sciences, promoting recognition of this career pathway. The specification for the competition is based on the Life Sciences and Industrial Science apprenticeship standard “Laboratory technician”. The standard, and the accompanying assessment plan, developed with a Science Industry Trailblazer group, ensures that all science industry apprentices have demonstrated that they have the skills, knowledge, understanding and behaviours needed to work in this sector. The competition was a great success and received a lot of interest from visitors, professional bodies and employers. It was planned, delivered and judged by two members of our life science technical team, Salma Conner and Anneke Prins. 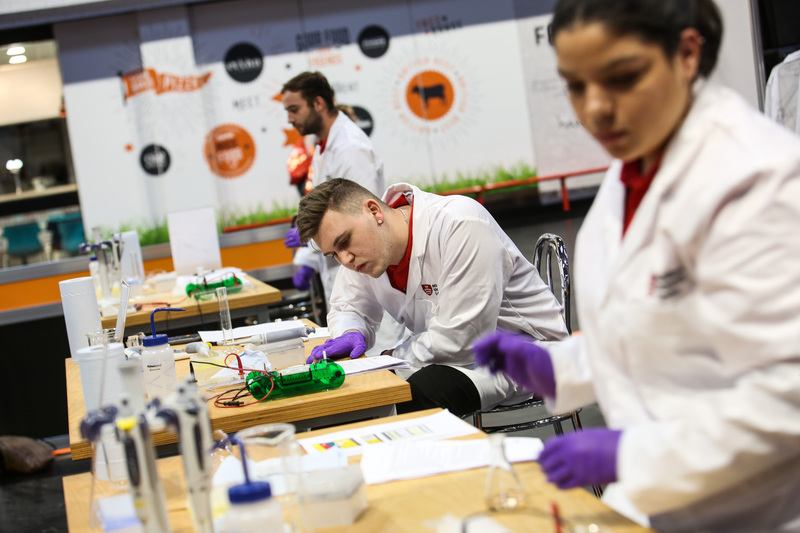 Over the two days of the competition the participants carried out seven tasks that tested their abilities to meet the Laboratory Technician Apprenticeship Standard (level 3). The laboratory skills tested ranged from those required for general preparation in a scientific laboratory to discipline-specific tasks in environmental health, pharmacology, analytical chemistry and molecular biology. The competitors were tested on their ability to read and systematically follow a protocol, follow standard operating procedures, prepare a risk assessment as well as carry out calculations, troubleshooting analysis and interpretation of results. Alongside these tasks they were also assessed for attention to detail, accuracy and precision. 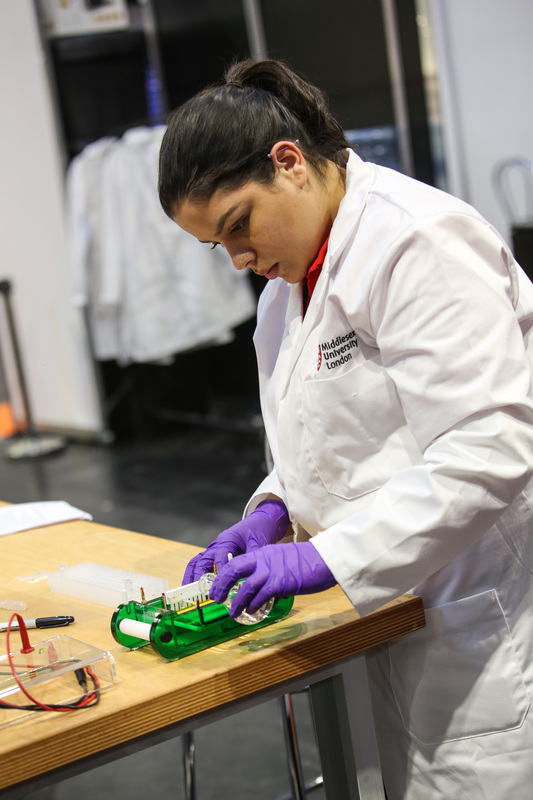 For this year’s demonstration event, all the participants were students studying at Middlesex University on degree programmes in Biomedical Sciences and Biology and who had entered their second year of study having completed our Foundation year in Science. They took all the obstacles they faced in their stride and they can be commended for their tenacity in completing the tasks to such an impressive standard. 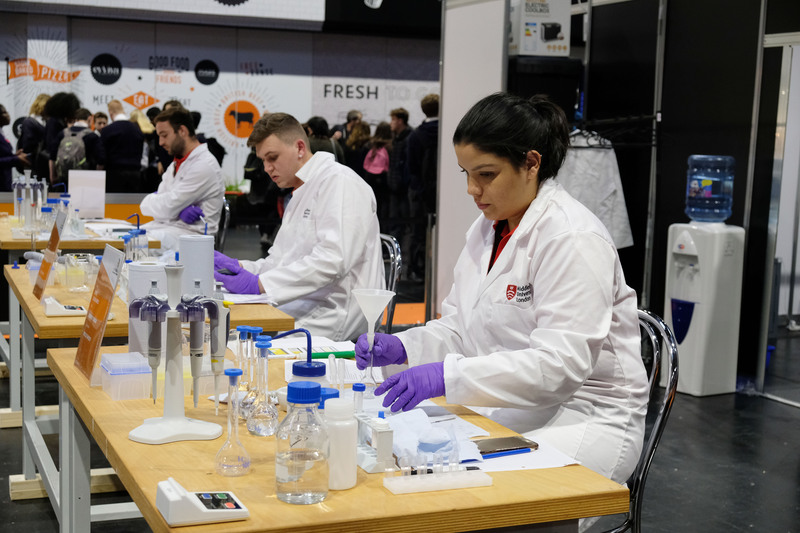 The ambition of WorldSkills UK and Middlesex University is to introduce the Laboratory Technician competition as a WorldSkills UK Competition in 2018. For us to succeed in our ambition we need commitment for partnership and sponsorship and are hoping to achieve this in time to launch the national heats in the spring of 2018. We also need competitors and invite training providers and employers to consider submitting their apprentices to take part in the competition once it is advertised.